The men at Camp 131 published three issues of the newsletter Release from November 1944 to March 1946. Methodist Unit. Camp No. 131. 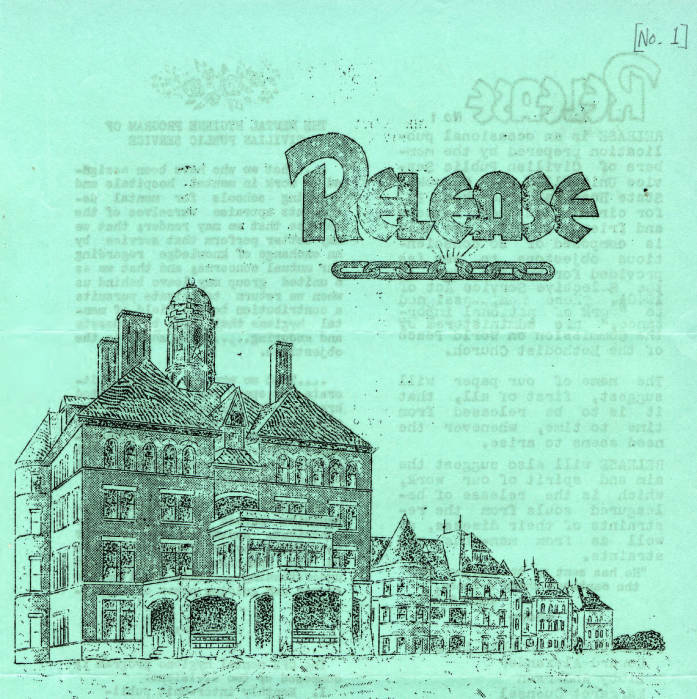 Page from "Release," March 1946. CPS Unit No. 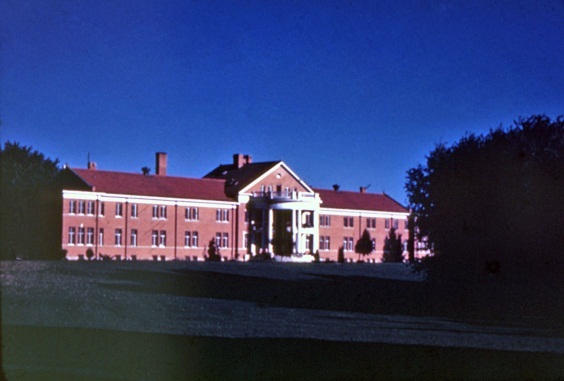 131, a Mental Hospital unit at Cherokee State Hospital in Cherokee, Iowa operated by the Methodist Commission on World Peace, opened in February 1944 and closed in May 1946. The men served as hospital attendants. 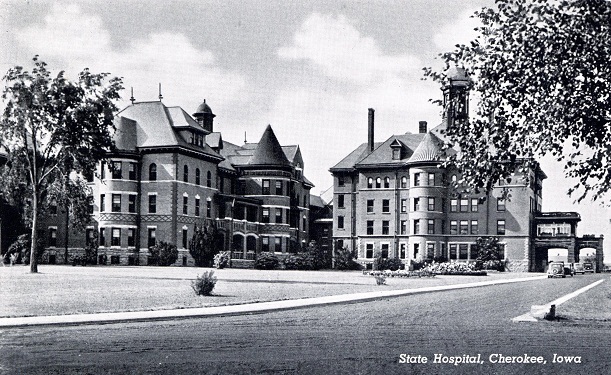 Cherokee State Hospital, one of the two units operated by the Methodist Commission on World Peace, was located in Cherokee, Iowa in the northwestern part of the state. The Methodist Commission on World Peace opened two units to support their conscientious objector constituencies. The units included men who had reported other religious affiliations at the time they entered CPS. The hospital, built for seven hundred patients, in December 1945 housed 1,729 patients. The buildings were overtaxed and understaffed with patient beds in the halls. Men in the unit served as hospital attendants with patients, working long hours and facing very difficult conditions. Early on, attendants lived in the same wards where patients resided. In the 1940s, the hospital added a dormitory for employees. One CO, in a 1988 survey reflecting on his experience at the mental hospital, reported the following. The various denominations operating camps provided financial support for the COs to cover their modest maintenance, medical and dental needs, as well as a small monthly allowance. One Methodist woman from Minneapolis, Kansas wrote to CPS leaders about her efforts to persuade others in her congregation to support COs. While the Methodist Commission on World Peace was able to fund its COs, Mrs. Joyce illustrated the conflicts faced in congregations, and the important role women like her played in bringing the need before the congregants. The men published three issues of a camp paper Release from November 1944 through March 1946. For more in depth treatment of mental health and training school units, see Steven J. Taylor, Acts of Conscience: World War II, Mental Institutions, and Religious Objectors. Syracuse, NY: Syracuse University Press, 2009, including information on the CPS Union, pp. 126-135.